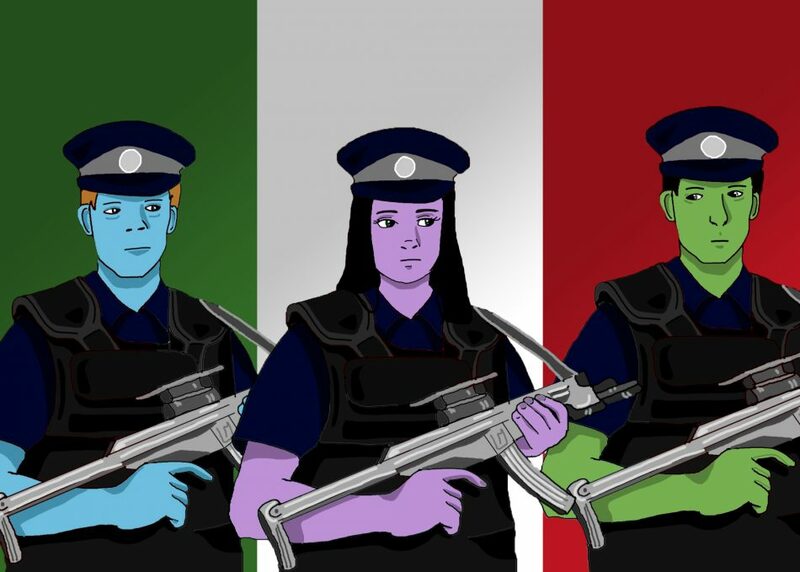 Police officers carried rifles at a family-friendly event intended to celebrate Italian food and culture on June 10, and for many in attendance, this reminder of the Vancouver Police Department’s potential to be violent came as an unwelcome shock. Hoards of people filled the streets for the festival and, as such, a police presence there was to be expected. What could not be reasonably anticipated was that these officials would be openly carrying carbine rifles under the guise of fighting terrorism. The police department has claimed that they sent armed officers to the event as a preventative measure against crimes like the Toronto Van Attack, which killed 10 people in April. They claim that this was necessary in Vancouver, a place that has never once in its 132-year history seen a major terrorist attack occur within city limits. The VPD also seem to have concluded that this was particularly important at Italian Day—again, a community event that, notably, is open only to pedestrians. The entire road is closed off for the duration of the festival, so why it would be particularly at risk of an attack like what was seen in Toronto this April is unclear. Even if there was a valid threat of a terror attack at Italian Day, having armed police present doesn’t seem like the appropriate response. Evacuating the area until the risk has been eliminated and carefully alerting vendors and attendees of the situation would be a more reasonable means of handling these situations. It’s hard to imagine a scenario where police with assault rifles could effectively manage large crowds of people and neutralize the risk of a driver looking to kill pedestrians with their vehicle at the same time. Very rarely do Vancouverites see police officers strolling down the road with weapons in hand. However, it could be the “new normal” for the VPD, according to VPD Sgt. Jason Robillard. The specifics of and reasoning behind their anti-attack tactics are considered to be best kept secret, according to Robillard, in order to avoid “potentially unsafe” situations. This secrecy does nothing for citizens concerned about the seemingly unnecessary militarization of their municipal police force. If Canada has learned anything from how our neighbours down south have handled their police departments, it should be to avoid police killings and brutality—or the threat of inflicting it—whenever possible. The excessive police presence at Italian Day could be a sign that the municipal police don’t have enough to do, don’t have proper management, or are concealing that Vancouver is secretly a hotbed of terrorist activity. The latter seems extremely unlikely, as the city has historically seen slim to none. That means that Vancouver either needs less police officers or better-utilized police officers. Either way, the VPD violated a public trust by intimidating innocent civilians who clearly were not at serious risk of harm. As to the question of whether or not the police have too much free time on their hands: This city has been home to some of Canada’s most horrendous crimes against marginalized communities. With the Missing and Murdered Indigenous Women Inquiry still failing to make discoveries promised by the Prime Minister, the opioid and homelessness crises growing steadily worse, and gang-related violence rising in the Lower Mainland, it’s hard to believe that that Vancouver cops couldn’t find a more efficient and less sinister way to spend their time.